When Jack kicks his ball over the garden wall, he meets Abbie, his mysterious neighbour, who gives him a glimpse of a whole jungle next door. From slithering snakes to ferocious wolves, Abbie must face them all to get Jack his ball back. But when the tigers and giant appear, Jack... read full description below. 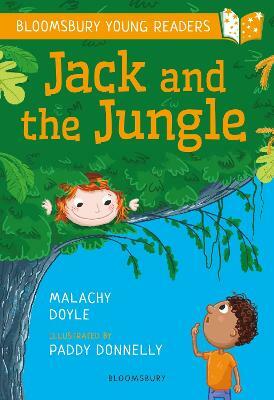 Malachy Doyle lives in Ireland on a tiny island off the coast of Donegal, with his wife, cats, dogs, hens and ducks. Before writing children's books, he worked in advertising and as a teacher for children with special needs. Malachy has written over a hundred books and is the best-selling author of The Hound of Ulster and Rama and Sita: The Story of Diwali. Paddy Donnelly is an Irish illustrator who now lives in Belgium. With over 14 years experience as an illustrator and designer, Paddy now gets to make a living drawing dinosaurs and his five-year-old self is very happy about this.